Keep it simple by framing a series of floral prints to hang in place of artwork or go big by doing a whole accent wall in floral wallpaper. Kitchens are now the centerpiece of home, not just a place to prepare meals. Homeowners are not just looking for a functional kitchen anymore; they are looking to design a space with a creative flair where more time is being spent. It comes as no surprise that kitchens and dining rooms are becoming one. Monochrome is a new way to make a big statement with color. Stick with solids or incorporate prints and patterns, the options are endless! It is said that paying closer attention to pleasing our different senses when we are designing a space makes the space a more enjoyable and stimulating environment! Lighting is hands down one of the most important features in every room. The right floor lamp can become a focal point in your design especially with all the amazing options out there! Break the status-quo and take that marble backsplash to new heights. These counter and backsplash transitions show off the true beauty of a stunning slab of marble by covering more surface area! Lively patterns, vivid colors and items with a story are IN and vintage rugs cover all three bases! 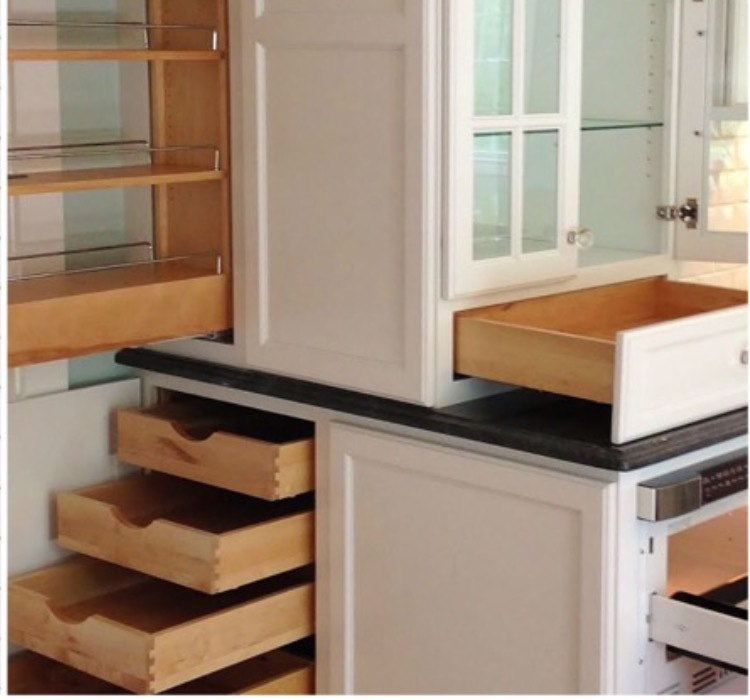 Getting creative with organization is a MUST, especially with the heightening demand for open shelving, which sacrifices storage space. They maximize minimal space and are oh so very chic! Our Top 9 were also recently featured on The Boston Voyager, check it out here.